The result of a cross of H. ventricosa x H. plantaginea, this cultivar was developed by Dr. Ralph (Herb) Benedict of Michigan and registered by Peter and Jean Ruh of Ohio in 2006. 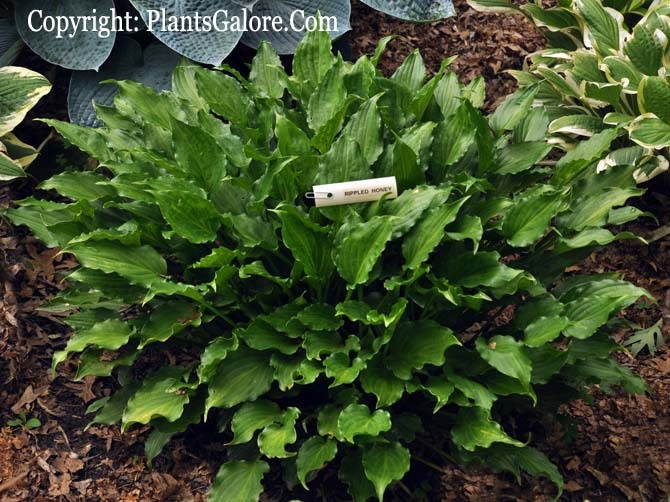 The heavily rippled foliage forms a mound about 21 inches high and 50 inches wide. Its leaves are narrowly ovate with good substance. Fragrant, medium purple flowers bloom in August. Similar cultivars include H. 'Invincible'.